When it comes to travelling in Iraq, most people would think that it can either be done by car or by plane, with no other options. However, a train can also be taken! As the train enthusiasts that we are, at YPT, we knew that we had to take it! Iraq used to have an extensive railway system, heritage of the British, who called it the Mesopotamian Railways. After its independence, Iraq kept the railways but renamed the system the Iraqi State Railways, later changed again to Iraqi Republic Railways. It used to be an extensive system but the recent wars put an halt to it and it is only now that Iraq has started rebuilding its railroads. For the train geeks, the IRR is made up of 1,905 kilometres (1,184 mi) of 4 ft 8 1⁄2 standard gauge, which means it can support regular trains. More interestingly, it currently only has one international connection, to Syria. Amongst the short lines the Railways have are a train to Fallujah from Baghdad as well as a Friday-only pilgrim train to the holy city of Samarra. 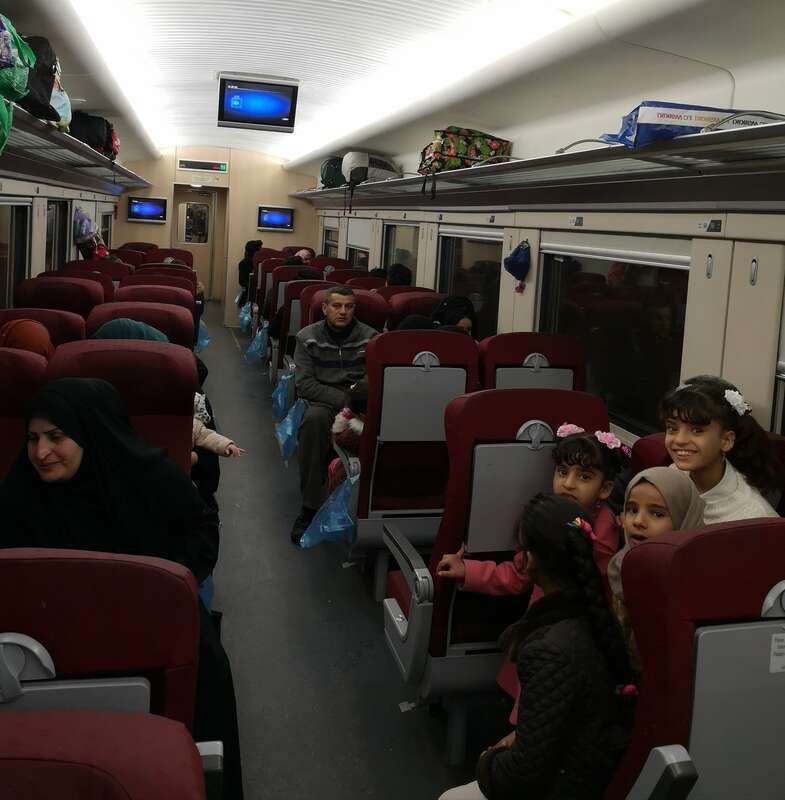 For most people, the only line that can be taken at the moment is the Basra-Baghdad line, which takes about a night to ride from one end to the other. The train leaves Basra around 7pm and arrives in Baghdad the next day, around 6 am. 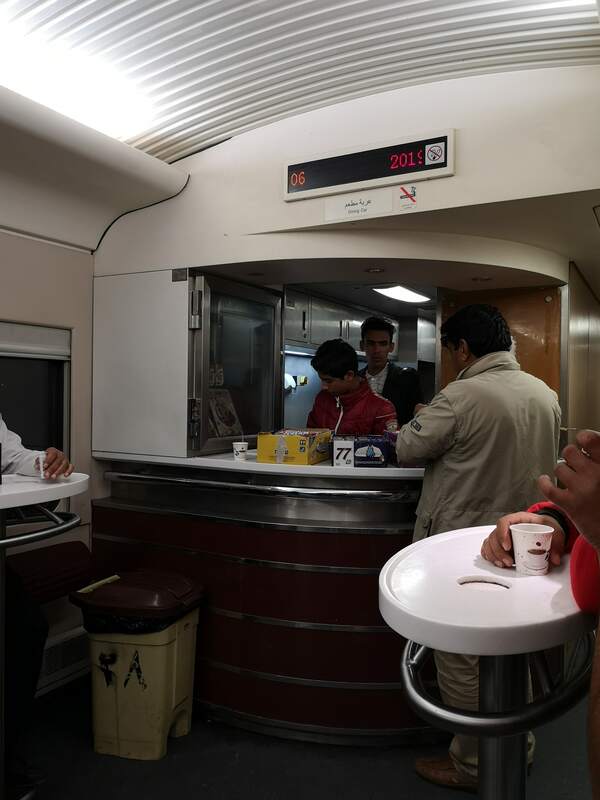 An interesting fact is that the train is actually a Chinese highspeed train, which design should be familiar to anyone who has travelled there, but, as mentioned before, it is running on standard gauge and, as such, cannot be used for high-speed and run at 160 km/h instead. There isn’t a website or a system for reservations, one just rocks up at the train station to get his or her ticket a few days in advance. A seating ticket for Basra to Baghdad at the time of writing costs 10,000 Iraqi Dinars. Which is barely 10 dollars or so! 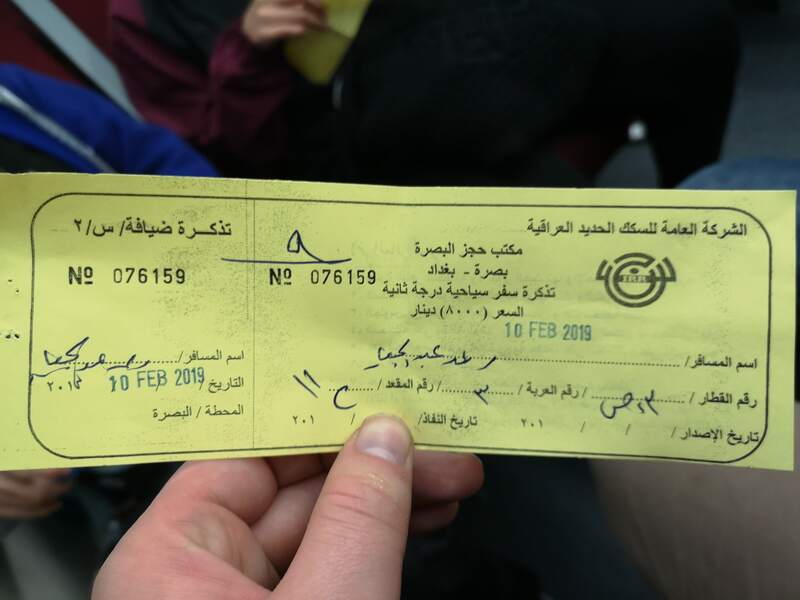 There are also sleeping tickets for about 40,000 Iraqi Dinars. The sleeper cabins are quite nice and different from the design used in China. Each cabin has only 2 beds and on the other side, we can find a fridge and a television. The seats are quite comfortable, with plenty of legroom, even in second class. We honestly couldn’t really figure out what was the real difference between first and second class, apart that second class is in a 2X2 configuration and first class is in a 2X1 configuration. The passengers in the seating cabins can be quite noisy throughout the night so if your plan is to take the seating ticket, I’d recommend bringing earplugs and an eye mask. Temperature within the train was fine. For trains which were acquired in 2014, the trains, sadly, are in a pitiful state already. It can be easily guessed that they are not often cleaned or maintained. Some of the windows are all cracked. One might say it adds to the experience! There is a small food cart with a standing bar where people can buy cups of tea as well as kebabs. Both the stations in Basra and Baghdad are very interesting to visit, as they haven’t changed much in years. The station in Baghdad still has counters for people who wish to take the train to Istanbul. The last half an hour leading to Baghdad is a very interesting ride through the history of trains, as it takes us through a train graveyard filled with locomotives and wagons from all eras of the Iraqi Railways. Taking the train in Iraq is definitely an experience! It is part of all our tours to Iraq! Contact us!